Copper tubing is a favorite choice of materials for many crafters who appreciate its beauty and flexibility. 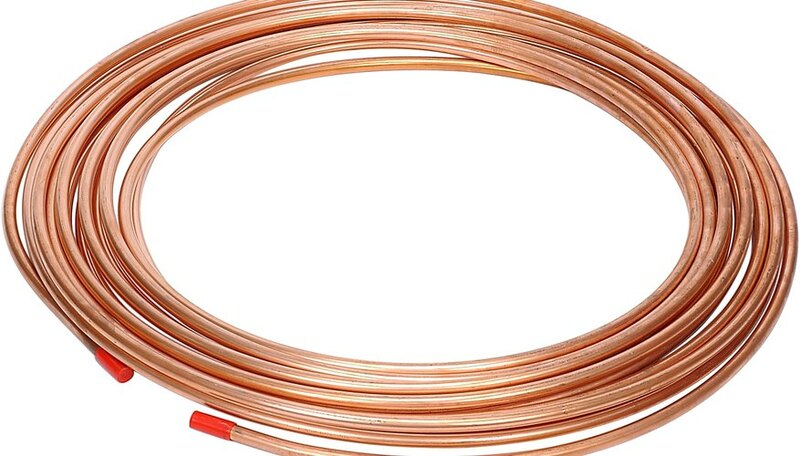 Copper tubing is softer and easier to bend than copper pipe, yet it’s strong enough to stand on its own. Copper tubing projects include sculptures and structures for the garden as well as items for home decor. A copper bottle tree is an old Southern tradition initially used to ward away evil spirits. Today’s version of a copper bottle tree is more of a decorative accent for the landscape than a talisman, but if it does double duty, who’s going to argue? The trunk of the copper bottle tree may be made from copper pipe or copper tubing. The attached copper tubing branches extend, curve, and bend away from the trunk, but the ends are tilted upward to accommodate colorful bottles. Bottles are inverted and threaded over the ends of the copper tubing branches. A jewelry tree to hang necklaces, bracelets, and earrings is another project you can make with copper tubing. The design is similar to the copper bottle tree, but on a much smaller scale. The base of the jewelry tree can be a wood or ceramic block that holds the copper tubing, or the tubing sections may be spread as roots to brace the jewelry tree. Necklaces and bracelets are draped over the branches. Some of the jewelry tree branches have holes drilled through the tubing so earring wires can hang on the tree as well. Sculptures to enhance a garden design are simple to make with copper tubing. Shape several lengths of tubing into spirals, join them at the base to create an oversized abstract design. Bend smaller sections of tubing into shepherd's hooks to hang garden signs. Create a header for wind chimes by forming the copper tubing into an S, a heart, or any other shape that fits your space. Open your imagination and the ways you can use copper tubing to create art for your garden is endless. Spinning copper garden sprinklers may be made from copper pipe, copper tubing, and copper foil. The pipe is the stand as well as the channel for the water. The tubing may be shaped into a circle or other design to fit atop the straight copper pipe. Solder a brass swivel connector to join the two and allow the copper tubing to spin when water is forced up from the pipe. Copper foil cutouts glued to the copper tubing decorate the garden sprinkler.